With so many wines and only so much time, choosing which ones to taste is the biggest problem facing oenophiles in Bordeaux. A solution is offered at Max Bordeaux, a stylish shop on the same street as La Brasserie Bordelaise, with 650 wine glasses dangling from the ceiling. 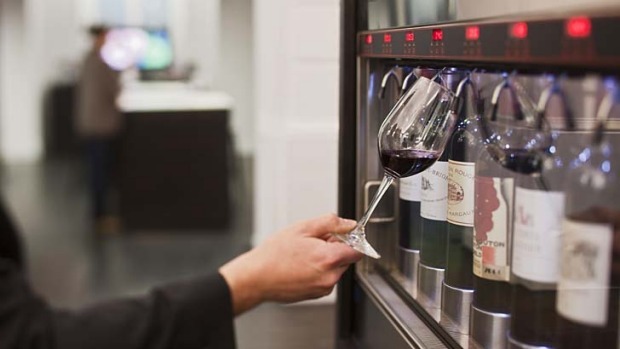 Using an Enomatic vending machine, which keeps the wines at an ideal temperature and free from oxygenation and spoilage, the shop offers tastings of 48 grand cru vineyards from the area. Wine lovers buy a tasting card, choose a vintage, pop a glass under the spout and out comes the wine. It's a perfect way to save on leg work and compare top drops. An illustrious first-growth wine can be tasted without having to pay for a bottle; a sample glass of Chateau Lafite Rothschild, for example, costs €35, or €1100 for the bottle.